Smoking is one of the most difficult addictions to overcome, so it's only natural that you want to try anything that might help. Many smokers look to natural remedies to help them quit, but not all of them are effective or actually safe for you to use. When you're seeking natural alternatives to help you quit smoking, there are a few that you might try. There are no guarantees that they will work, however. Many people who successfully quit used multiple approaches, including counseling or a support system. Acupuncture is a common therapy that some people use to help them quit smoking. The acupuncture needles used are usually hair-thin. They are inserted into various points in the ear where they remain for about 20 minutes. For help in between sessions, many acupuncturists provide tiny balls (the size of the tip of a ballpoint pen), that are taped with invisible tape to the ear. When a craving for cigarettes hits, the smoker is instructed to press gently on the ball, which stimulates the acupuncture point. One five-year study in Hong Kong of 5,202 smokers concluded that acupuncture was both an effective and safe method to help smokers quit. It notes that the number of cigarettes per day decreased and that the average time to relapse was 38.71 days. 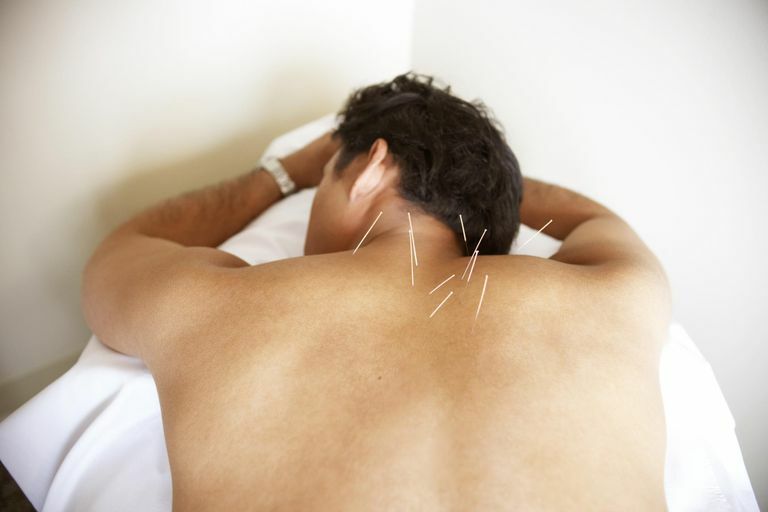 The number of acupuncture sessions made a significant impact on success, with most people receiving eight sessions within the first month. The herb St. John's wort (Hypericum perforatum) is used primarily for depression. Researchers have been trying to figure out if it's effective for smoking cessation as well. The results are mixed. Most of the early studies found that very few people successfully quit while taking St. John's wort, even with counseling support. However, one study looking into the herb does provide interesting background. The researchers note that St. John's wort may help with any depression that comes with quitting. That, however, does not help with the actual quitting, though it may make you feel better during the transition. In the study, they began taking the herbal supplements two weeks prior to the quit date. Although St. John's Wort appears to be reasonably safe when taken alone, it can interfere with the effectiveness of prescription and over-the-counter medications. This includes antidepressants, drugs to treat HIV infections and AIDs, drugs to prevent organ rejection for transplant patients, and oral contraceptives. St. John's wort is not recommended for pregnant or nursing women, children, or people with bipolar disorder, or liver or kidney disease. Ginseng has been shown to prevent the prevent the nicotine-induced release of the neurotransmitter dopamine. Dopamine is what makes people feel good after smoking and is part of the addiction process. Although intriguing, no studies to date have examined whether ginseng supplements can help people quit smoking. The next question many people have is whether hypnotherapy can help. It is a sounds like a good alternative to prescription and over-the-counter stop-smoking aids, but is it effective? According to one randomized trial, hypnotherapy is only slightly more effective than behavioral relapse prevention intervention. After three days of not smoking, participants were placed in one of the two groups. The hypnotherapy group had a 29 percent success after one year, while 28 percent of people in the counseling group had quit. In another study, hypnotherapy was compared with common nicotine replacement therapies (NRT). The two were also combined for some of the hospital patients in the study. The methods were used and followed after the participants were discharged from the hospital. The conclusion was that hypnotherapy was more effective NRT in long-term abstinence, though there was no improvement when the two therapies were combined. The herb lobelia (Lobelia inflata) has been promoted to help people fight the effects of nicotine withdrawal and it is found in many anti-smoking products. The active ingredient in lobelia is lobeline and it is thought to have similar actions on the body as nicotine. In 1993, however, the U.S. Food and Drug Administration (FDA) temporarily prohibited the sale of certain lobelia products marketed to help people quit smoking. According to the report, the reason was that evidence showed they were not effective. Lobeline has since been placed on a list of smoking cessation ingredients that require FDA approval. Later research has shown that lobeline may increase levels of the neurotransmitter dopamine in the brain, an effect similar to cigarettes. Dopamine influences mood and produces feelings of pleasure. There is still no evidence, however, showing that lobelia supplements help people quit smoking. Lobelia is a potentially toxic herb, however, so it cannot be recommended. It is also in the FDA's Poisonous Plant Database. Lobelia can cause dry mouth, profuse sweating, nausea, vomiting, diarrhea, tremors, rapid heartbeat, confusion, seizures, and coma. In larger doses, it can even cause death. People with heart disease, high blood pressure, heart disease, tobacco sensitivity, paralysis, seizure disorder, shortness of breath, or who are recovering from shock are at particularly high risk. Pregnant and nursing women and children should never take lobelia. Scientific support for the claim that any remedy can help with smoking cessation is limited. Supplements haven't been tested for safety and are largely unregulated. This means that the content of some products may differ from what is specified on the product label. Also, keep in mind that the safety of supplements in pregnant women, nursing mothers, children, and those with medical conditions or who are taking medications has not been established. If you're considering the use of any form of alternative medicine, talk with your primary care provider first. Carmody TP, Duncan CL, Solkowitz SN, Huggins J, Simon JA. Hypnosis for Smoking Relapse Prevention: A Randomized Trial. 2017 Oct;60(2):159-171. doi: 10.1080/00029157.2016.1261678. Hasan FM, et al. Hypnotherapy Is More Effective Than Nicotine Replacement Therapy for Smoking Cessation: Results of a Randomized Controlled Trial. Complementary Therapies in Medicine. 2014 Feb;22(1):1-8. doi: 10.1016/j.ctim.2013.12.012. Parsons A, et al. A Proof of Concept Randomised Placebo Controlled Factorial Trial to Examine the Efficacy of St John's Wort for Smoking Cessation and Chromium to Prevent Weight Gain on Smoking Cessation. Drug and Alcohol Dependence. 2009 Jun 1;102(1-3):116-22. doi: 10.1016/j.drugalcdep.2009.02.006. U.S. Food & Drug Administration. Code of Federal Regulations Title 21. 2017. Wang Y, et al. Acupuncture for Smoking Cessation in Hong Kong: a Prospective Multicenter Observational Study. Evidence-Based Complementary and Alternative Medicine. 2016;549:2865831. doi: 10.115/2016/2865831.